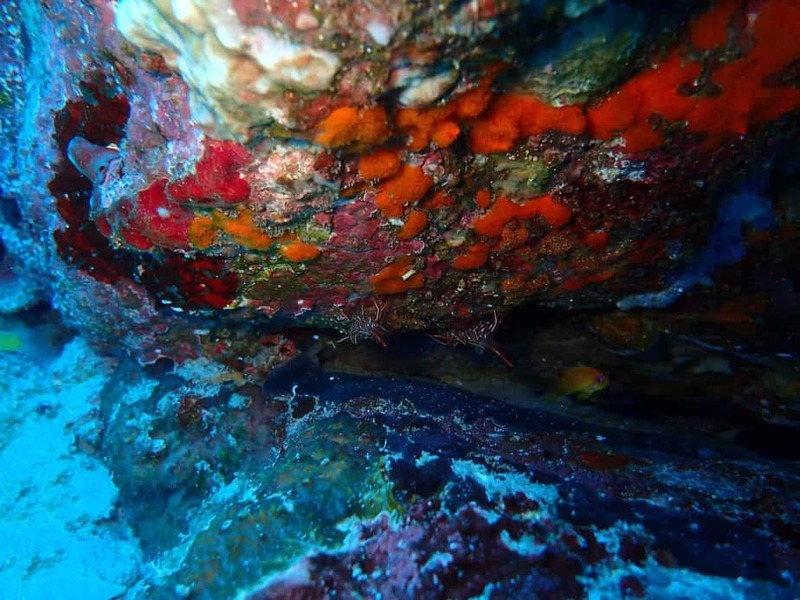 Diving from Pulau Weh Island | Wildfire Expeditions. 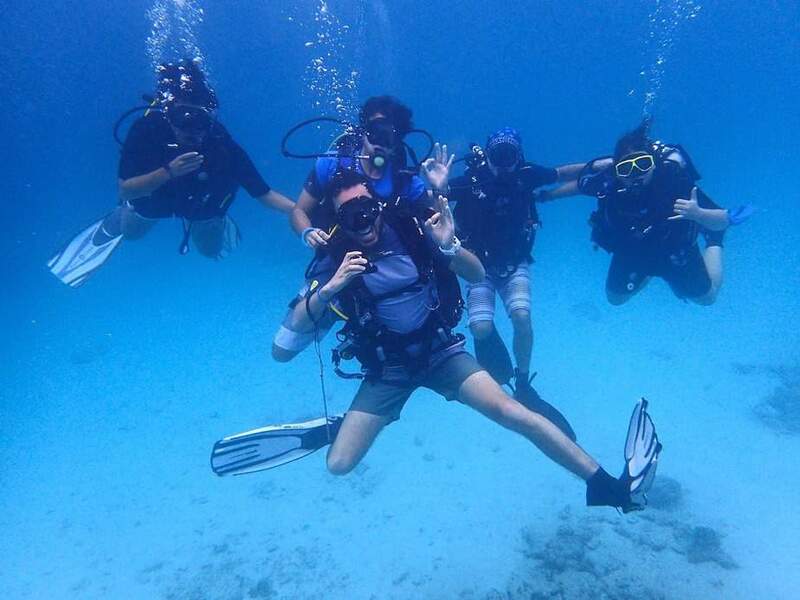 Want to escape for a few days, experience some amazing diving with few other divers around, and relax in a quiet environment? 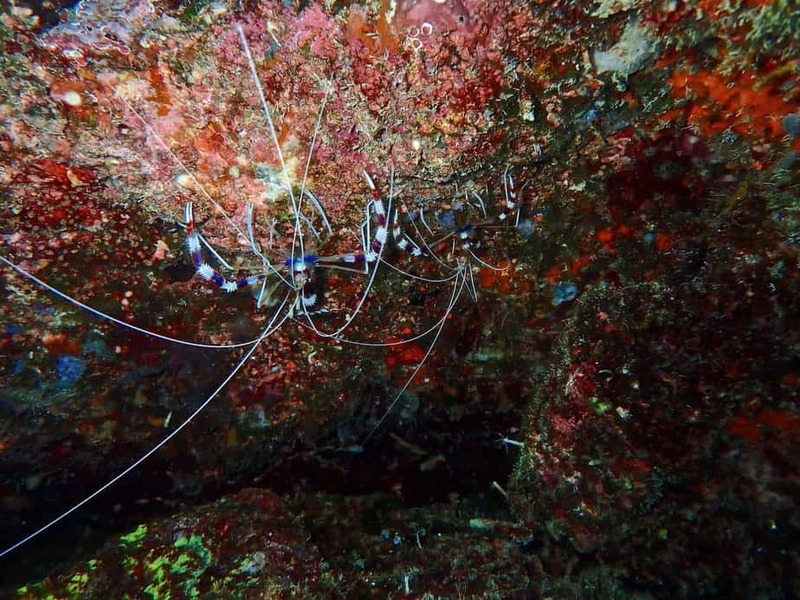 Join Wildfire in Pulau Weh for an amazing underwater adventure! 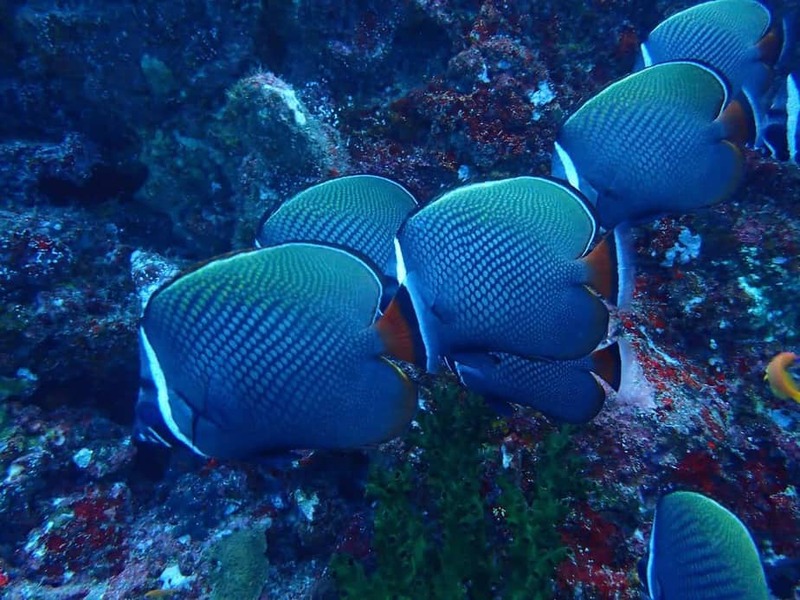 Diving from the island of Pulau Weh off the northwest tip of Sumatra provides opportunities for divers of all experience levels, from relaxing macro dives for photography buffs, to currents that can attract pelagic sealife – gain experience by practicing your dive skills in all of these conditions over a long weekend (or stay for a week)! 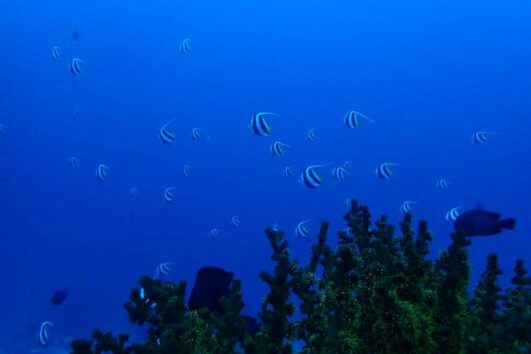 Test your eyes looking for ghost pipefish, seahorses, and nudibranchs; enjoy the gracefulness of reef sharks, giant trevally or a school of devil rays; discover the creatures living on a Thai shipwreck; and savor the adrenaline rush of a fast drift dive! 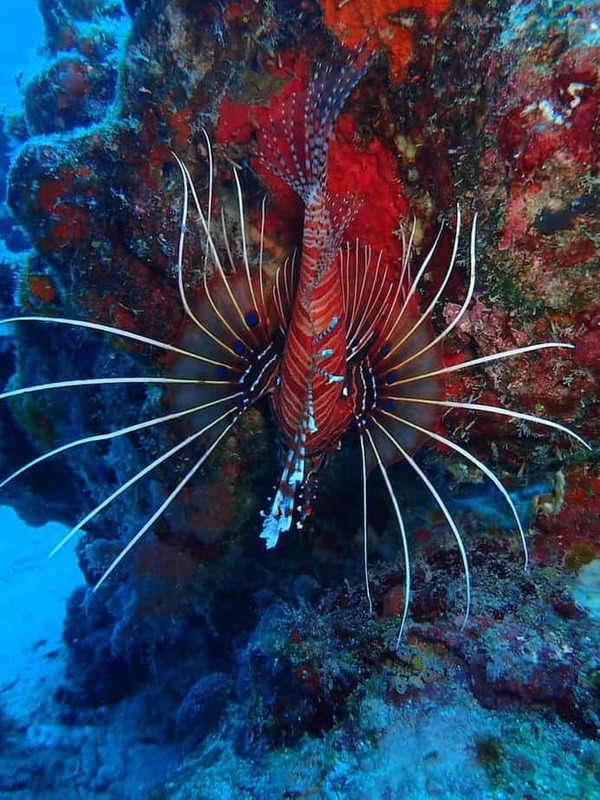 All of this from a quiet beach and dive professionals providing personalized service. 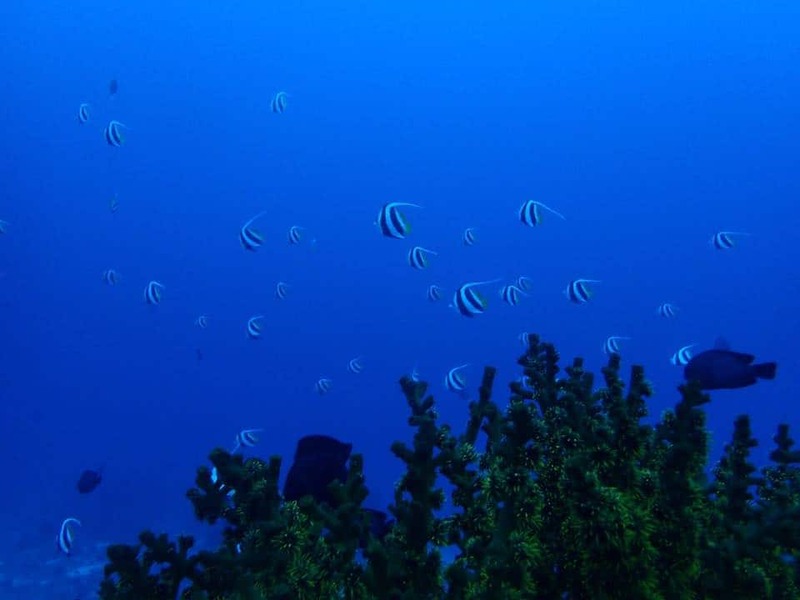 With visibility of typically 30+ meters, it will be easy to see the abundant marine life all around you! A morning island excursion will include an easy walk to a waterfall in the forest, where we will do a trail cleanup along the way before enjoying a refreshing swim below the waterfall. We also may visit a Japanese WWII bunker or a volcano before having lunch on Iboih Beach. Optional daily yoga will focus on stretching and breathing techniques that will help you use less air and extend your dive times! 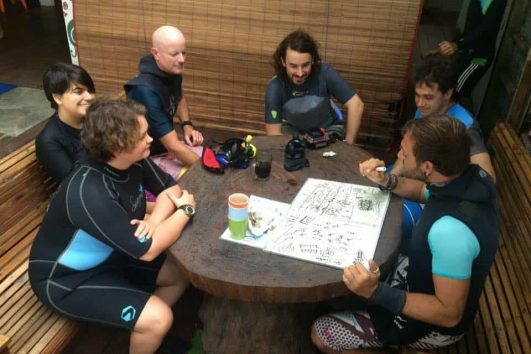 Your trip leader is a PADI MSDT who will handle all logistics and offer tips to improve diving skills if needed. Take the 9:30am fast ferry to Pulau Weh, 2 boat dives, and option for house reef night dive or sunset yoga. Begin a bit early for 3 boat dives, finish with optional sunset yoga. 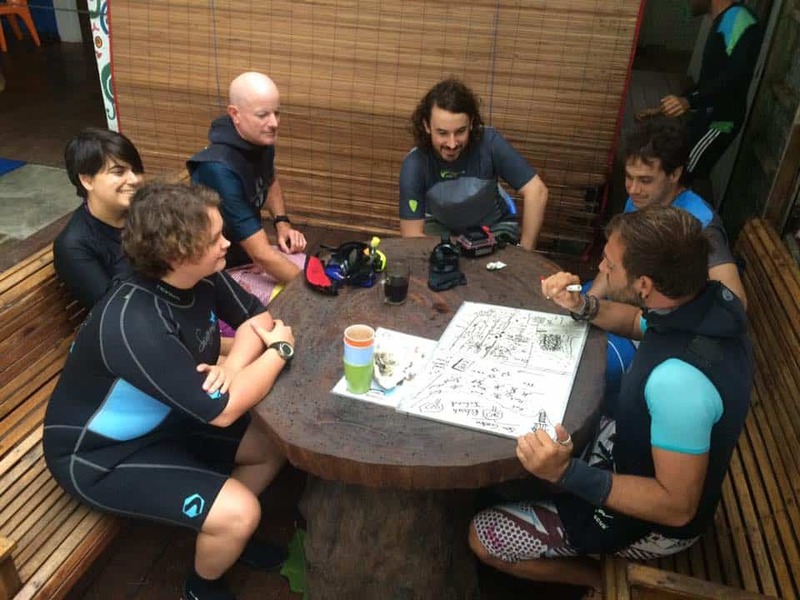 Morning beach cleanup, explore the island, optional yoga, 2 afternoon boat dives, and a house reef night dive. 3 boat dives, optional sunset yoga, and a family style Achenese dinner. Checkout our latest expedition video.